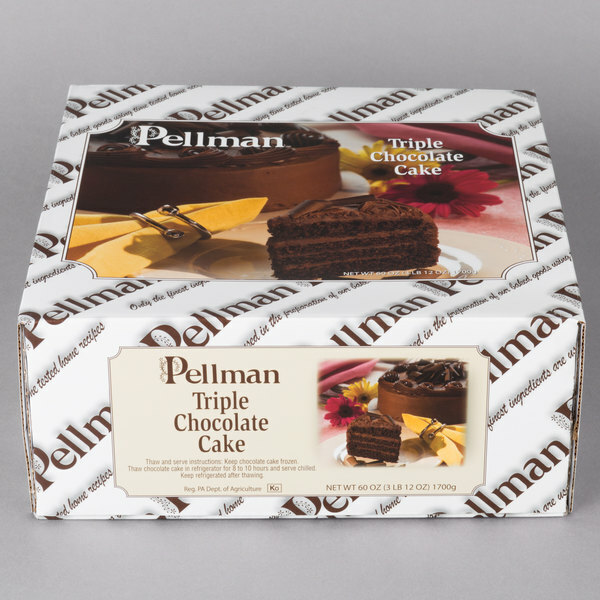 Serve up a decadently sweet dessert with this Pellman triple chocolate cake. 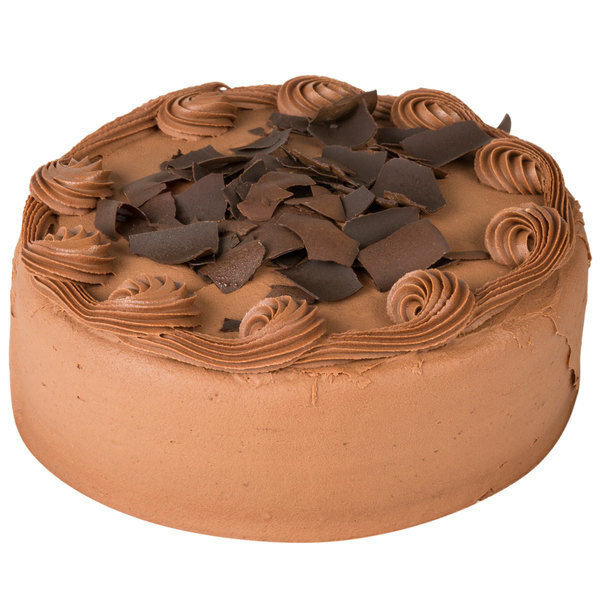 With the delightful taste of dark chocolate, this cake is the perfect dessert for any chocolate lover. 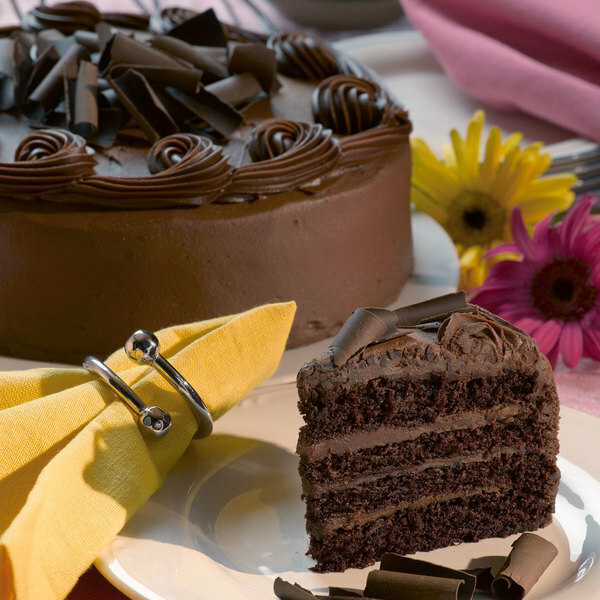 Each triple chocolate cake has four layers of dense chocolate cake covered in chocolate icing. Additionally, the top features chocolate rosettes and curls to draw your patrons eyes to this dark and delicious dessert. 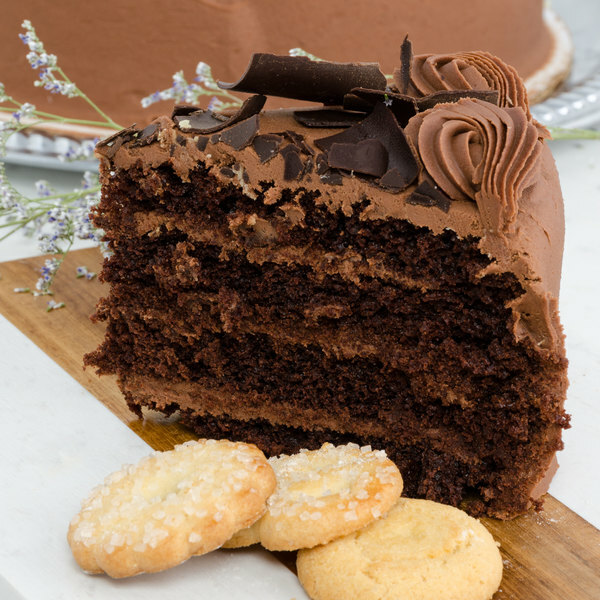 Best of all, this triple chocolate cake is ready to serve right out of the box to save you time and money. Simply cut the cake to portion size and serve. End any dining experience with the ultimate capstone by serving this delicious cake! This beautiful Perlman 9” triple chocolate cake If you love chocolate you are going to love this amazing cake. It’s great for restaurants, birthday parties, it’s just so amazing! Other than the carrot cake, this one wins my heart too. It is very creamy and luscious. It goes great with an espresso for dessert. Great style chocolate cake that is rich and luscious and very moist. So yummy and a great seller at our sweet shop. Easy to thaw out and looks awesome. 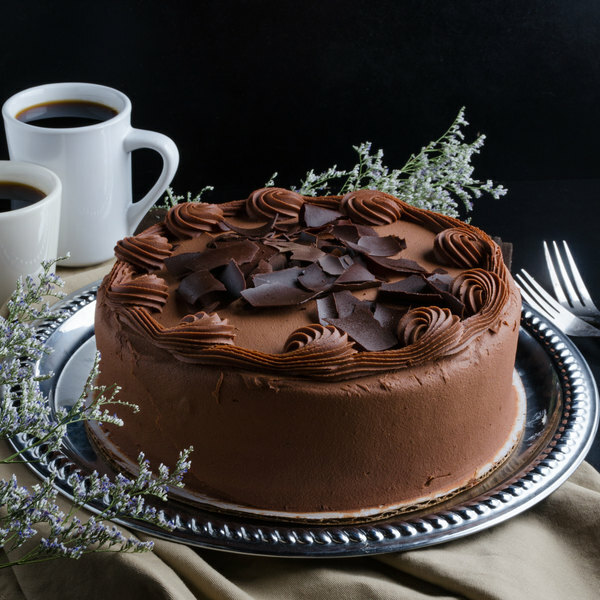 The Pellman triple chocolate cake is decadent and rich. A truly delicious texture and quality and this divine. The cake is so rich and makes a great dessert.